As with the Timeline layers, you can turn the Node view nodes on or off. 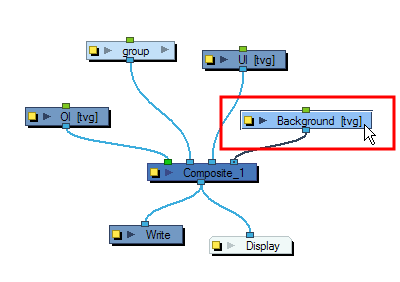 When you turn off a node in the Node view, its corresponding layer in the Timeline and Xsheet views is also turned off. 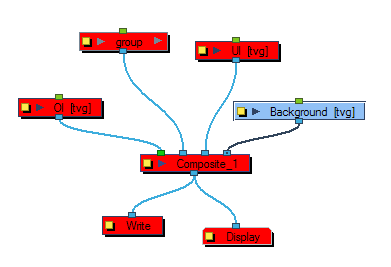 Nodes that are turned off are displayed in red. In the Node view, select the node(s) you want to enable. In the Node View menu, select Nodes > Disable or press D.
In the Node view, select the node(s) to remain enabled. In the Node view menu, select Nodes > Disable All Others. All nodes are disabled except for those selected. This operation only affects the current level layers. It does not affect the nested nodes within a group. In the Node view, select the disabled node(s) you want to enable. In the Node View menu, select Nodes > Enable or press A. This keyboard shortcut is also valid in the Timeline view. In the Node View menu, select Nodes > Enable All.